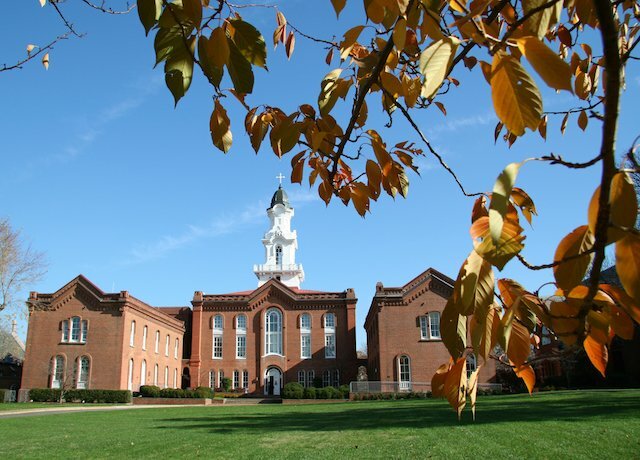 Come see fall colors and a campus rich in history. 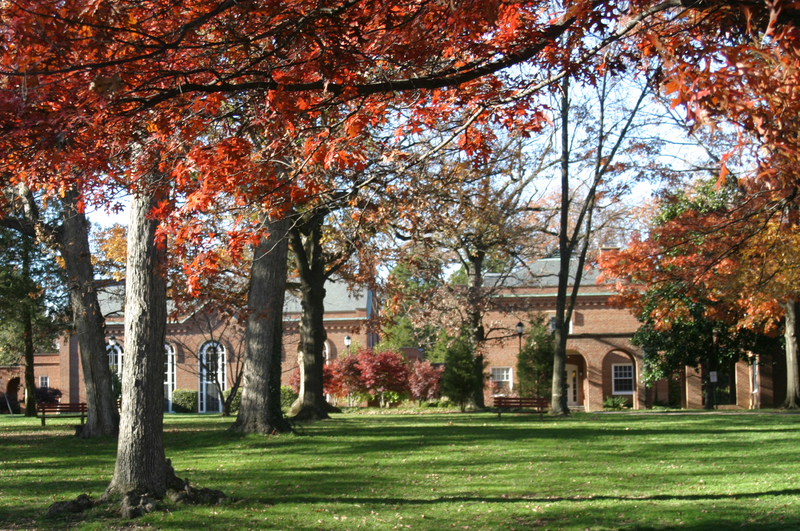 If you're visiting the D.C. metro area this autumn in search of the jaw-dropping colors of the changing leaves (we can't blame you), you must stop by Virginia Theological Seminary during your explorations. This calm, quiet campus is not only visually stunning but is home to an array of art and structures that history buffs and spiritual pilgrims alike can appreciate. 1. Stained Glass Windows -- Immanuel Chapel's latest addition of three stained glass windows from world-renowned artist Brian Clarke that represent the Holy Trinity were dedicated to VTS by the Most Rev. Michael Bruce Curry, the 27th presiding bishop and primate of the Episcopal Church. Also in Immanuel Chapel are three stained glass windows from renowned glass artist, Rowan LeCompte. 2. The Cemetery -- Established in 1876, the historic VTS cemetery is the final resting place of Episcopal luminaries such as Professor William Sparrow, the Right Rev. William Meade, the 3rd Bishop of Virginia, the Most Rev. Henry St. George Tucker, the 19th Presiding Bishop of The Episcopal Church, and the Rev. Charles Price. 3. Civil War Graffiti -- Civil War buffs will enjoy the graffiti left on the walls from Union soldiers when the church was turned into a military hospital. 4. The Flamingo -- Grab a tasty treat or a piping hot coffee at this campus hub. In the evening, across campus, Cafe 1823 also welcomes visitors with food, drink, and good times. 5. Oakwood -- Built circa 1790, this is the oldest building on Holy Hill. 6. St. Cyprian's Labyrinth -- Surrounded by bricks from the 1881 Chapel and unused bricks from Immanuel Chapel, St. Cyprian’s Labyrinth invites you to bring your burdens to God in this meditation-inspiring maze. 7. Sculpture of "Mary As Prophet" -- This unique interpretation of the Visitation of the Blessed Virgin Mary sits outside of the Chapel Garden. 8. 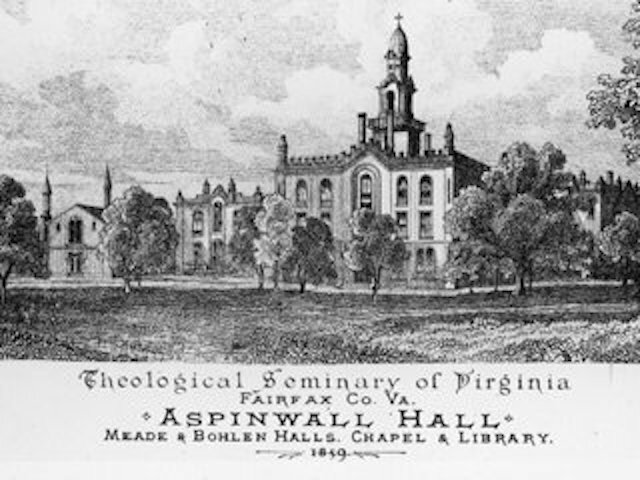 Key Hall -- This building, which has served as a library, a Union hospital, a cafeteria, a place of worship, and a classroom, was named after one of VTS's founders, Francis Scott Key. 9. Phillips Brooks Bust -- This alum wrote the famed Christmas carol, "O Little Town of Bethlehem" and now greets visitors that enter the Bishop Payne Library. 10. Portrait of Bishop Walker -- The Rt, Rev, John T. Walker, Bishop of Washington and the Dean of Washington National Cathedral, holds the distinction of being the first African American student and graduate of VTS. His portrait was painted by artist Simmie Knox, the first black American artist to receive a presidential portrait commission. Need more color in your life? Check out the most beautiful stained glass windows in Virginia!